Restaurant La Cala de Mijas - El Oceano, Right on the Beach, La Cala. 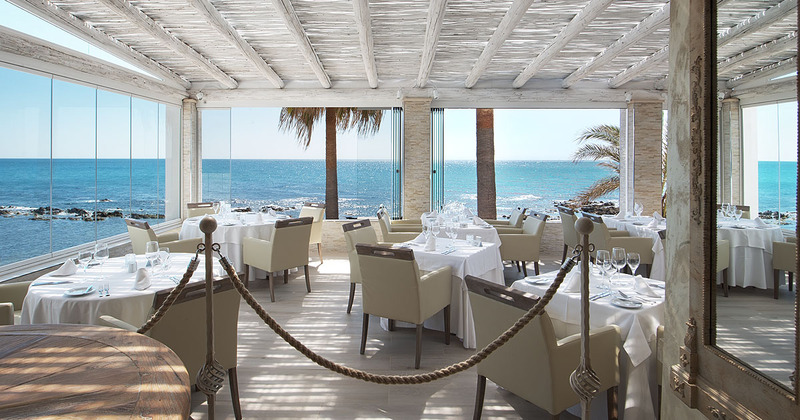 Restaurant La Cala de Mijas. Find El Oceano Hotel & Restaurant right on the edge of La Cala de Mijas, as you travel towards Marbella. 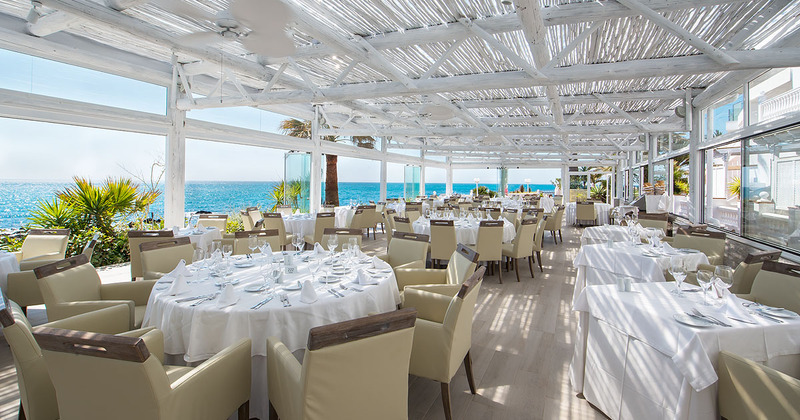 Right on the seafront, El Oceano is the perfect beachfront restaurant! A beautiful location, exquisite menus, great dining entertainment! Restaurant La Cala de Mijas. There is No Better! On the very edge of La Cala de Mijas, on the very edge of the Mediterranean Sea! When we say ‘beachfront’, we really mean it! El Oceano Restaurant has three wonderful restaurant areas, two indoors with clear and unobstructed views, right over to the coast of Africa and one al-fresco dining area. All three really are right next to the sea! 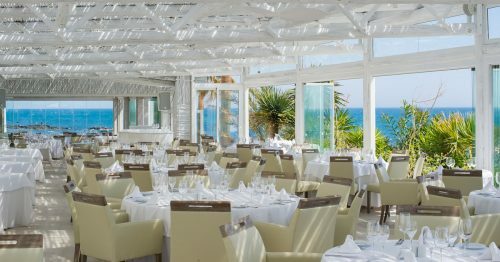 Our menu is one of the finest to be offered in La Cala de Mijas – if not the Costa del Sol – mixing the traditional with contemporary ideas and only the freshest ingredients! Whether you choose our a la carte menu or the ‘set’ 3-course menus offered during man of our special live entertainment evenings, we’re sure you’ll be impressed! Our menus are varied and offer something for everyone – and if not, just ask! Our chefs carefully prepare each dish, so please feel free to ask if you have any special dietary requirements! We can’t guarantee it, but we’ll do out best to help! Last year, we seriously redesigned our restaurant. Elegant, subtle, bright and beautiful, we think we have the perfect dining experience on Mijas Costa. Please find below the 2016 a la carte menu. It will change for 2017, but will be of equally high standard! Or see all the wonderful menus here. Find El Oceano right on the waterfront on the edge of La Cala de Mijas driving towards Marbella, on Spain’s beautiful Costa del Sol. One of the more quiet stretches of Mijas Costa, we have the perfect beachfront dining location.